Final Part of the Provence wine series. Many wines tasted with personal opinions. I believe that to end the Provence series, it is worth mentioning about the Fréjus Appellation, which is another sub-appellation of the Côtes de Provence and an AOC 80km from Nice, a city that used to be under the Regent of Italy along with Savoie. I was told that Nice itself was founded by the Greeks who brought olive, figs and winemaking from Greece 2600 years ago. It is said that the first wines made were likely rosé as the wines are pressed straight away after picking. Fréjus became recognised as an AOC in 2005. The highest elevation in Fréjus is 400m above sea level. 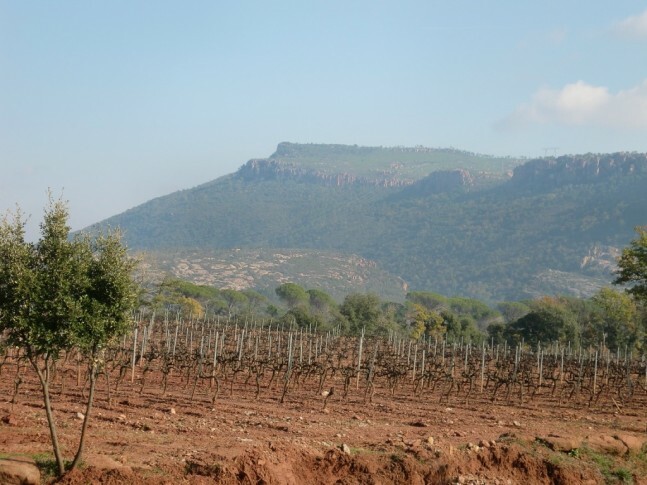 It has two mountains, the Maures Montains and the Esterel Mountains which are a part of the appellation. Just like Sainte-Victoire, the region is known for its reds and rosés. Its whites cannot be bottled under the Fréjus Appellation and has to be called Côte de Provence. The reds are made from Syrah, Mourvèdre and Grenache while the rosés are the same grapes with the allowance to add Tibouren and Cinsault. The climate with its proximity to the sea offers constant temperatures all year round. Rainfall is about 850 mm per year, sometimes up to 1000mm with 2800 to 2900 hours of sunshine per year. I was told that in November 2011, it rained up to 300mm for 5 days. Temperatures in the winter at Eastern Provence can go up to minus 10° Celsius at least once or twice a year. During the winter, it can be from zero to -2° in the morning and 10° in the afternoon. In the summer, temperatures can go up to 30-35°. The Fréjus region is split into eight communes with some famous wineries being located in some of these communes. 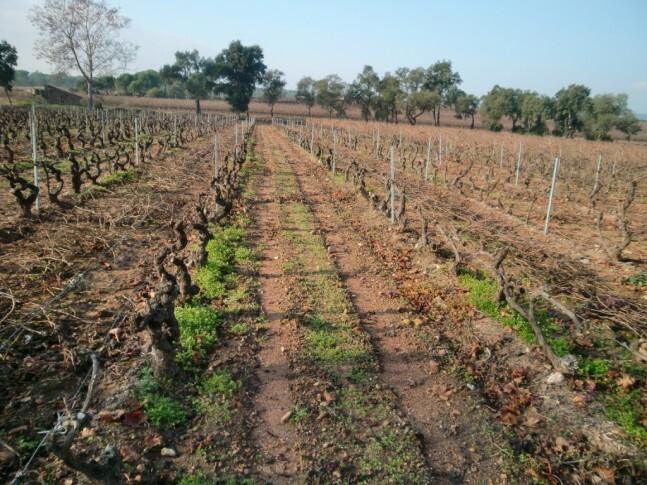 It is an appellation that has very diverse soils of sand, clay, clay-loam, red rock, unlike Sainte-Victoire. I have highlighted throughout my tasting notes in bold the different terrior of Provence and the flavours I have experienced. Just like the 1855 classification of Bordeaux, Provence had its own chateau and domains classified. Based on a rigorous study of the Provence, 23 producers were selected and considered by decree to be“Crus Classé” in 1955. In 1977, Provence was officially recognised as an AOC. Today, only 18 of the original 23 exist and 14 of them have banded together to form the Club des Crus Classés. I have had the opportunity to taste some of the crus (see my notes on d’esclans and Sainte Roseline under other wines). Some were fantastic while others mediocre. Prices are not cheap and although they do not have the same prestige as Bordeaux outside of France, the prices can rival that of third growth Bordeaux. My guide, Raphael feels differently about the Crus Classés and considers it to be a thing of the past as all wineries have improved in their wine-making techniques. Raphael Vigneau, who runs Azur wine tours, is thoroughly familiar with the region. While he was doing his agriculture diploma, he grew interested in grape growing and winemaking. He decided to pursue a technical diploma in winemaking and did stints at Vasse Felix and Domaine Chandon in Australia. In his spare time, Raphael also makes his own wines from a vineyard which he leases. He experiments with varietals like Viognier and Semillon which ripens around the same time and earlier than Rolle. He also makes some Grazin, Mourvèdre and Braquet (grown predominantly in the Bellet region) which according to him, oxidise early to become orange-coloured and then becomes reductive after ferment. If you happen be passing through Nice and would like to understand more about the vineyards here, he is contactable on his website at http://www.azurwinetours.com/. In Raphael’s opinion, a good rosé is pale-coloured, with aromas of citrus and grapefruit and has high acid. The wine is not like an overly sweet and has a long length with 1 to 2 g/l of residual sugar to soften the acid, smoothing out the sharp edge of the acid. The rosés in this part of Provence are made in September/ October and are bottled and sold in January. Harvest is usually carried out at the end of August for the whites and the beginning of October for the reds. The last grapes picked are Mourvèdre at 11-12 Baumé. Fruit that is less ripe than what is used for red wine is usually saved for the rosés. Capturing the acid is more important than tannic ripeness for rosés. The French try to avoid the bubble-gum and candied aromas which they call amylic for Provencial rosé. Usually, cold maceration is done before pressing the grapes. Nitrogen is injected in the press to prevent oxidation. Sometimes, stems are being thrown into the press to speed up the extraction time of the juice for grapes like Cinsault. Ferments for the rosé can go from 13-18°. Most wineries use the pressing method as it gives more citrus, grapefruit, apricot and peach flavour profiles. 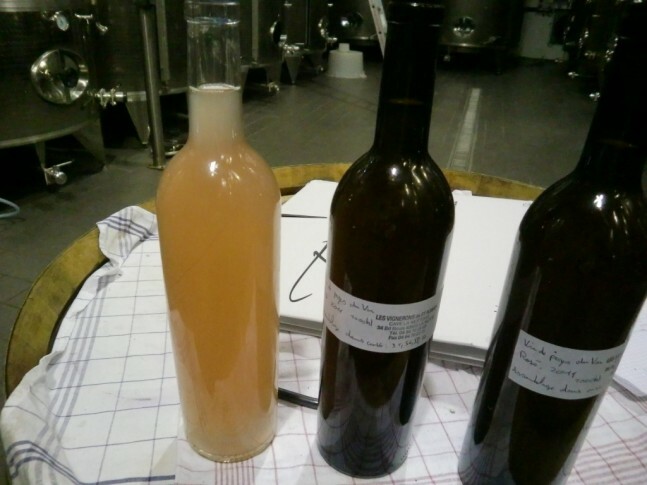 Saignée is usually avoided as more confectionary flavours are produced (To learn more about the different methods of making rosé, see http://www.thewanderingpalate.com/profiled-wineries/shalom-chin-provence-blog-part-1-%e2%80%93-la-vie-en-rose/). More wineries are becoming organic now. With help of the cold winds from the north, there are hardly any problems with insects although wild boars love to gnaw at the vines. The winds also slow down the development of sugar ripeness in the Fréjus region so that physiological ripeness can catch up. Raphael shared with me that although being close to the coast, humidity is low and downy mildew is controlled but further inland, powdery and downy mildew can occur. Some of the locals believe that the salty air from the ocean protects the vines from downy. The land hardly suffers from frost problems but forest fires do happen in the summer. Pruning work starts in December. I was told that AOC rules require all the vines to be spur-pruned to 8 buds per vine. Cabernet Sauvignon and Syrah are allowed to be cane-pruned. A normal skilled pruner can do 800 vines a day. The late-ripening grapes such as Mourvèdre that require more time in the sun are being pruned first so that budburst can occur early. As the French would put it “Qui taille tard, débourre tard” which translates as the vines which are pruned late will budburst late. The best pruning is in March when the sap starts to flow and water starts coming out of the pruning cuts to prevent disease. In the Côtes de Provence, maximum yields permitted are 55hl/ha. Generally, planting densities are a minimum of 4000 vines/ha and the dimensions are around 2.5 m row x 1 m vine spacing. It is said that the reason for such wide spacing between rows is that people used to plant peach and olive trees in between the rows and still would have enough room for the tractors to go through the vines to pick them all up. Situated in the Fréjus region, this château is a significantly large producer, owning 90 hectares of vineyard, work never seems to end here. The vines are trained 1 m high with dimensions of 9 ft row x 3 ft vine spacing. Soils are generally sandy and volcanic making it slightly acidic. 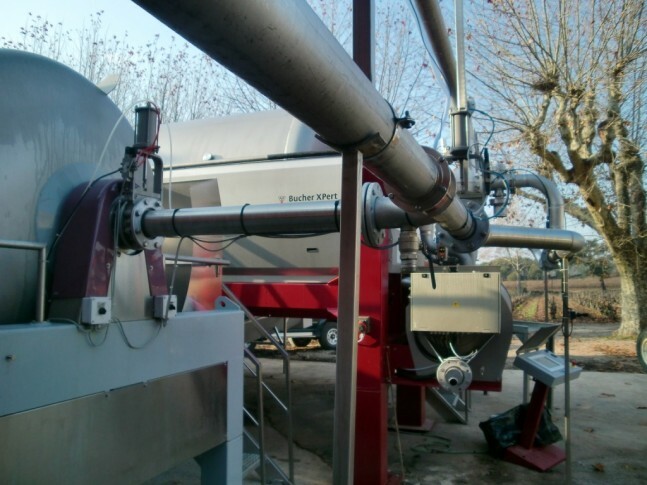 The winery uses Enoveneta equipments in their winery such as their heat exchanger. Ferments for their rosés take place at 18 degrees with some carbonic maceration for their Carignan. The grapes are chilled to 5-6 degrees through the exchanger. Everything goes through filtration except for some of their reds. MLF on their whites and rosés are blocked through SO2 and cold temperatures. For the reds, the maturation takes place in Boutes Barrel. The Château has their own bottling line that bottles 2500 bottles per hour. The wines are bottled with small additions of Nitrogen. The profile of the wines tasted here are very light, in terms of intensity and tannins. This has something to do with the type of fruit obtained on sandy soils. I would say they make good whites here which better in sandy soils. Something about sandy soils does not work for me with the reds and rosés. There is a sort of graininess and phenolic thing associated with sandy soil and red grapes. Perhaps this is the same for white grapes but white wines are made without skin contact so it does not matter. 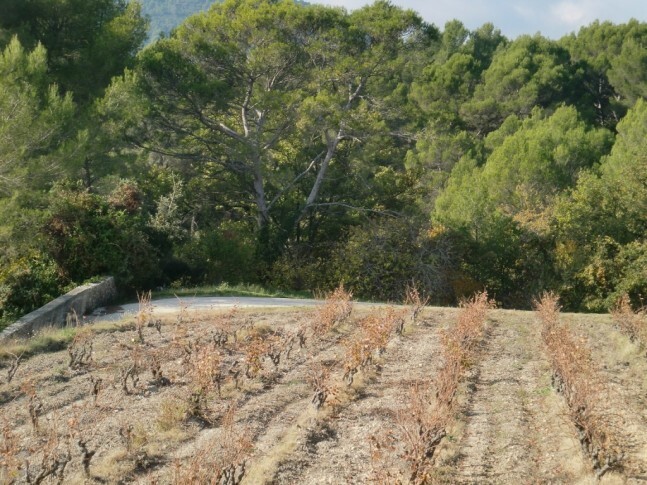 It is hard to generalise the flavour of Côtes de Provence given the diversity of soils. I suggest a visit to the actual vineyard site to look at the soil structure before making a decision if the wines may suit your taste. Pale rose colour. A fruity, peachy nose of medium (+) intensity. On the palate, slightly phenolic, with med(+) acid and medium alcohol, juicy but phenolic backpalate. I prefer more finesse in here after tasting the rosé from Cassis and Sainte-Victoire. Perhaps the pressing is too hard. Synthetic cork. Pale rose colour, bright. Bright fruit and delicate peach on the nose. On the palate, med(+) acid and medium alcohol, elegant and fine, light peach and orange mandarin finish, med(+) length, slightly phenolic backpalate. Pale orange colour. Slightly herby, light intensity, almost neutral on the nose. On the palate, slight mintiness and a rosemary finish. Comments: According to AOC rules, the yields permitted are 50hl/ha but most wineries go to around 40hl/ha. This wine was in the tank for 6 months after harvest. In my opinion, the Fréjus region produces wines that are so much more expensive than the rest of CdP. In France, wines close to €15 is quite a bit of money especially on a rosé. Is this value for money? You will have to decide that for yourself when you compare between a CdP and a Fréjus. Pale green colour. Light citrus fruit, lightly floral, poached pear, medium intensity. On the palate, melon, spicy, med(+) acid, med alcohol, long length, lightly spicy, wintermelon Finish. Oak fermented but not aged. Most whites are blended here in CdP but it single varietals are allowed. According to Raphael, 3% of CdP produced are white, 6-7% are rosé, and 90% are reds. Deep purple colour. A light juicy character on the nose and lifted fruit accompanied by chocolate and leather. The palate has dark plums, woody, med alcohol but high acid, chocolate and slightly sappy back palate, short length. An interesting wine but I would definitely try it again out of curiosity but I think it will be a while before I will come across some serious versions. The Domaine is one of the 18 crus classé. Owning 50 hectares of vineyards, the soils here are significantly different from Ch.de Rouët, being red clay and sandstone with lots of drainage. Farming here is organic. As expected, the rosés here have better structure and intensity than Rouët but their whites come across as too suppressed and heavy for me. I suppose it is a matter of taste but I like my whites to be fresh, expressive and not too weighty on the palate, with the exception of barrel-oaked, aged or MLF wines. Again, this is a fine example of terrior and Provence is littered with some many examples of how different soil types can produce different wines. There seems to be quite an amount of iron in the soil that I believe contributes to the structure of the rosés here. The Domaine has a modern cellar door and winery. I was quite impressed with the winery set-up with the use of gravity pumps and good-quality pneumatic presses. The red wines are fermented at 25 to 30 degrees, sometimes up to 35 degrees and the post-ferment maceration time is 2 to 3 weeks. Aging takes place in Boutes Oak. Unfortunately, I did not try any of the reds. Medium intensity straw. On the nose, citrus, lime, very direct wine that could use more aromas from the Rolle. On the palate, high acid, med alcohol, lots of limey, lemon citrus fruit, nashi pears, green apples, med(+) length, a citrus finish. The same wine was tasted at the winery and is 10 days old. Pale yellow. On the nose, straw, slight lift, citrus, wintermelon, med(+) intensity. On the palate, light bodied, spices, med(+) alcohol and acid, melon, citrus peel, white pepper, long length, citrusy finish. Pale rose colour. Medium intensity, fresh strawberries, red currants, light cherries, a sort of vinous nose. On the palate, med alcohol, high acid, basket of red berries, grapefruit flavours, a crisp and fresh style, lots of vibrant acidity to clean the palate, long length, slight acceptable phenolic back palate that gives the wine some texture, A wine that goes better wine food than by itself because of its acid level. I tasted the same wine from the winery that has been opened and cold-stored for 5 days. The wine has evolved. Below is my impression. Pale rose colour. Light fruit nose, crystalline fruit, redcurrants, light intensity. On the palate, high acid, medium alcohol, light tea, long length, spicy and nutty finish, light berry yoghurt but acid stands out slightly too much. Pale pink colour. Delicate nose, medium intensity, peach, white flowers. Slight phenolic, high acid, med(+) alcohol, fruit cake, long length, slight phenolic in back. The grapes are macerated for 4-12 hours before pressing. The juice is stabilised at around 12 degrees. The juice is then obtained by saignée and ferment is started. Comments: This is the only rosé I know that is made from two different methods of pressing and bleeding. The extra maceration time may explain the intensity of fruit flavours and phenolics. Med plus ruby colour. Musky, leather and earthy aroma. On the palate, herbs, mushroom, savoury, medium tannins, peppery spice, dusty texture and slight pluckiness, med length, rosemary finish. Opened for a week. This has seen 4 months in oak and battônage for 2 months. Comments: It seems like the wines here near or within Fréjus has a sort of Mediterranean, sea aroma with that oxidised barrel smell. Another characteristic of the soil here is that it is red clay (gres) and a tendency to produce heavier tannins and rosemary herb flavour profile. Pale salmon colour. Light vanilla nose, sweet caramel, light berries, smells of new furniture, medium intensity. On the palate, light wood, cedar, high acid, spicy, med(+) alcohol, complex, long length, light vanilla finish, very good acid. Spend 4 months in 1.5 year old barrels, stabilisation at 12 degrees. Domaine des Dragon is predominantly medium-sized rocks of limestone. Not much vendage verte is done here as the soils are infertile enough and the vine does not produce enough grapes. Spur-pruning is also used instead of cane pruning to control yields. With spur-pruning, the basal buds are at the base are not as fertile as the buds at the end due to apical dominance. In the winery, gravity is used to fill the tanks. The wines are aged in Magnenan, Cadus, Vicard, D&J barrels. The family owns 25 hectares on vineyard and produces about 100,000 bottles annually. Yields are 45 hl/ha so that the business can be sustainable. I was told that producing at 35hl/ha would produce better quality but less number of bottles would be produced. In Côte de Provence, a bottle would cost €3 a bottle after labelling and corking. Bulk wines that are sold in bag-in-boxes are about €1.30-€1.50/litre. Moreover, in France, labour does not come cheap. Pickers are paid €15 per hour and there is a maximum of 48h/week by law. There are only 11 hours between the start to the end of work day. The pickers are permitted to work for 13 consecutive days but not on the fourteenth day. To cover their cost, the winery would have to raise the prices of their wines to cru classes prices. From their experience, such prices are not accepted by the market for a Côte de Provence wine. A Provence rosé costing less than €5 is hard to find. According to Raphael, most French would pay €6-€10 for a bottle of rosé. Pale pink colour. Med(-) intensity, light redcurrants. On the palate, high acid, light currants, short length. Pale pink colour. Dried herbs on the nose with medium intensity, light plums and pips. On the palate, high acid, grapefruit, short length. Pale yellow colour. Minty, vanilla bean, slight oxidative smells, popcorn, medium intensity. On the palate, med(+) acid, herbs, spice, oxidative flavours, medium length. Semi-transparent ruby colour. Herbaceous nose, eucalypte, redcurrants, med intensity. On the palate, med(+) acid, herbaceous, med tannins, med(-) length, acid driven. Comments: There seems to be a tendency for a lot of the wines here in Côte de Provence to have that slight oxidative smell that I would describe as soy sauce, earth, and mushroom and I suspect that has to do with the nature of Grenache and how it seems to be one of those grapes that likes to show oxidative potential. Deep purple colour. On the nose, powerful cedary oak and vanilla bean, Med(+) Intensity , good concentration, cassis, dried prunes, MLF characters, a light pencil lead smell, ripe berries, excellent spectrum of aromas. A lovely cinnamon spice about it, and milk-chocolate, something dusty about the nose, paprika-like smell, liquorice and cherry spice. On the palate, med(+) tannins, silky texture, creamy, chocolate, cassis, kir-like, a light cedar oak in there, light chocolate finish. Grapes are destemmed and double sorted. Fermentation takes place in wooden vats with maceration at room temperature for 5 days. Fermentation lasts one month with daily. Aged in barrels for 12 months. The soil is agrilo-calcaire. Comments: It’s been a while since I had a wine like that. Definitely cabernet from the colour but tannins of the Syrah smoothened out the texture. An excellent wine that should cost more than 50 euros. This is one of those 18 crus classé of Provence and I would say it is a wine deserving of such status. Very good barrel regime and ripeness level. A wine deserving of Crus Classé status. This reminds me so much of the ripeness of fruit in Australia.Hats off to the wine maker. Pale Salmon colour. Light intensity nose and light berry. Palate is med(+) acid, med alcohol, beautiful mid-palate, mineral, long length, passion fruit finish, a beautiful forceful finish. Chalk gravel soil. Each variety is destemmed and sorted. After four to six hours of skin maceration at around 10°C. Pressing is applied by a pneumatic press. Alcoholic fermentation takes from 12 to 16 days at a constant temperature of approximately 16°C. Comments: Again, another example where Calcaire imparts the zestiness and lightless to the red fruit. Semi-opaque purple colour. Light soy sauce nose, rosemary sprig, dark herbs, medium intensity. On the palate, med(+) intensity and alcohol, med acid, med(+) tannins, slightly rough texture, soy and earth flavours, light oxidised flavours, med length, liquorice finish. 12 months in oak. Schisty soil at 30hl/ha yields. Skin maceration during 24 hours and alcoholic fermentation at low temperature. Comments: Interesting to see how 10% of Grenache can give so much of that oxidised aroma. Deep purple colour. The nose is light cedar, soy, earth, undergrowth, light currants, slight lift and liquorice. The palate is med(+) alcohol, acid and full tannins, grainy texture, long length, dark herbs, thyme. The soil is sand, clay and schist. Comments: It always fascinates me that schist soil imparts a sort of heavy, herb like character to the wine aroma and also the texture is grainy. Deep garnet colour. Earthy aroma, lead, soy, aniseed, spicy, slight oxidised character. On the palate, med(+) alch and acid, med tannins, slight velvety texture, aniseed, herbs, med(+) length, earthy. The soil is rock, clay, limestone with a subsoil of blue marl from the secondary Jurassic period. The vineyard is around 22 years old. Harvesting is by hand with small trays. The grape are de-stemmed and crushed. Fermentation takes place at 30° Celsius with frequent pumping over. Wine macerated a few weeks on its skins after fermentation and before being racked. The wine is aged in oak barrels (10% new ) for 20 to 22 months and bottled after being racked. Released four years after bottling. Pale yellow colour. Light honey nose, pineapples, lifted notes, candied mangoes, complex caramel. Med(+) acid on the palate and med(-) sweet/slightly sweeter than off-dry, med(+) alcohol, slight cedary back palate, med(+) length, light canned pineapples. Comments: A very unique wine. I was told the wine was made by the same winemaker as Clos Cassivet. I never tasted a wine like this before with this sort of flavour-profile.